How Margot continues to develop at the plate will largely determine if he reaches his potential. Margot has quick hands and plus bat speed with little wasted movement. He has strong natural bat-to-ball skills with a line drive approach. He is very aggressive at the plate, looking to attack the ball, especially early in the count. His swing can get a little long and violent at times, but he has shown the willingness to shorten up when behind in the count. Margot’s pitch recognition still needs some work, as he is susceptible to breaking balls, in particular when he is behind in the count. Because of his strong contact skills, Margot will make a lot of weak contact. As continues up the ladder, pitchers will try to exploit his aggressiveness and he will need to make the necessary adjustments to counter this. Margot will never put up big walk totals, but he also won’t strike out a lot. Overall, his hit tool has solid-average potential with the ability to consistently hit around .275. Margot is not the biggest player and he had a lot of projection when he entered the system, his power numbers have never jumped off the page, only hitting more than five home runs at a level once. But in batting practice, Margot will show some power, especially to the pull side. When he squares the ball up, he can drive it with backspin, and as he gets into his mid-20s his doubles power could become over-the-fence power. Margot will never be a premier power hitter, but it is not a stretch to project him to hit 15 home runs a season with 30 doubles and a handful of triples at his peak. Overall, it is easy to project Margot as a potential role six, first-division player who can hit at the top of the order as a table setter. 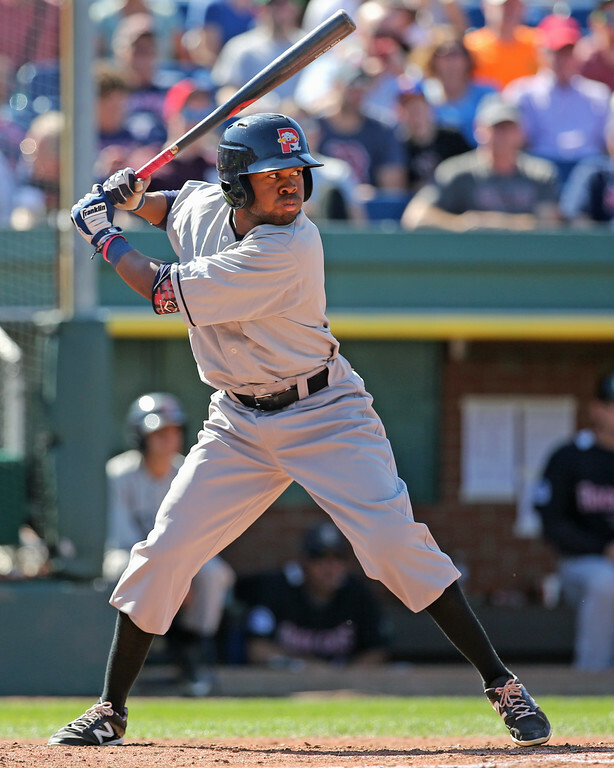 Even if he does not make the necessary adjustments at the plate to tap his full potential there, or does not develop more than single-digit home run power, Margot’s combination of contact skills, speed, and defensive ability in center field will allow him to stick around for a long time as at least a third or fourth outfielder on a roster. - Javier Guerra is only the sixth ranked prospect in the system, but in many other systems he would be considered one of the top prospects overall. 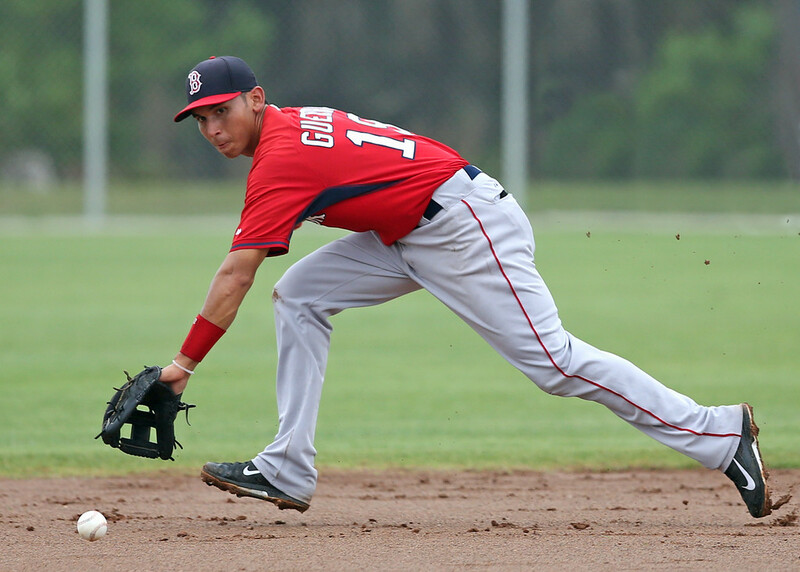 He has plus-to-better defensive potential at shortstop and a chance to hit. Guerra is listed at 5-foot-11, 180 pounds with an average but athletic frame and some projection remaining. 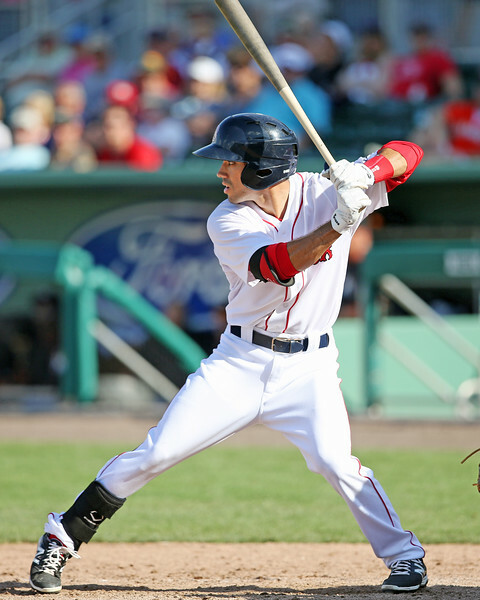 We first identified Guerra as a prospect to watch back in Spring Training 2014. This season, after skipping Short-Season A Lowell, Guerra had a breakout season with Greenville, hitting .279/.329/.449 with 15 home runs in 434 at-bats. Guerra’s carrying tools are not reflected in the stats, as he does his best work in the field. Guerra has a defensive skill-set you don’t often see at his age (or at all), even at shortstop, as he has a plus-plus arm and the potential to have a plus-to-better glove as well. Guerra’s ability at shortstop starts with his instincts, which give him excellent range to both sides despite below-average speed. He is reliant on his first step and initial read to get to the ball, but his first step is exceptionally quick and he eats up ground very quickly when moving laterally or charging the ball. He is very comfortable fielding the ball on the move and has very soft hands with a quick glove-to-throwing-hand transfer. His actions are very fluid, and he plays the position with confidence and swagger. His arm is a true weapon, grading out at plus-plus with the ability to make any throw with relative ease, even going away from first base into the hole. Guerra’s error totals were high this year, but a fair number of those were a result of reaching balls that an average shortstop would not get close to or making an ill-advised throw due to the justified confidence he has in his arm. Guerra’s defensive ability alone is enough to carry him to the big leagues, but he also showed improvement at the plate this season. He starts with his feet square and hands high from the left side, using a toe-tap timing device. He has solid bat speed and good hand-eye coordination, but his approach is a work in progress. Guerra has a lot of swing and miss at present, because he has a long swing and looks to attack the ball, rarely getting cheated. Guerra also consistently looks to pull, really struggling with pitches away, and his pitch recognition is a work in progress. Too often he will commit early to try and get out in front of a fastball, only to be caught off-balance and on his front side by a secondary pitch. That said, Guerra is still only 19 years old with one season of full-season ball under his belt. He has solid swing mechanics and his hands work, so if he can improve his approach, he could hit for average. Though he hit 15 home runs this season, there are still questions about Guerra’s ultimate power potential. He only has power to the pull side, with 13 of his home runs going to right field. With the amount of swing-and-miss in his game, it is not a guarantee that his power will ever actualize. At the plate, there is a wide-range of outcomes for what Guerra could become. His upside is something like .275 with 15+ home runs, but it is more likely he becomes a player who hits in the .260 range with 8-10 home runs. Guerra is still raw, and how he develops at the plate will determine his ultimate ceiling, but with his defensive ability he also has a relatively high floor because his glove will play and make him a very valuable player whether or not he hits. 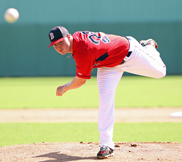 - Logan Allen was the Red Sox eighth-round draft pick in this year’s draft out of IMG Academy in Florida, and he was eligible to be traded this offseason due to a new rule instituted by MLB during the year saying draft picks could be traded at the conclusion of the World Series after the Trea Turner situation. Allen was previously committed to South Carolina before agreeing to terms on a $725,000 signing bonus. The 18-year-old left-handed pitcher spent most of his pro debut in the Gulf Coast League, throwing 20 innings and allowing 12 hits, one earned run, and one walk with 24 strikeouts. After a promotion to Lowell, I was able to catch Allen's lone start in September along with a brief stint this year in the Florida Instructional League. Allen is definitely the sleeper in this deal, and kudos to San Diego for getting Boston to include him in this package. An 18-year-old with advanced feel and polish for his age, Allen’s delivery is easy, and he repeats well, staying on-line towards the plate. This allows him to fill up the strike zone with an average three-pitch mix. His fastball sits 88-92 mph with the ability to locate the pitch to both sides of the plate. The curveball and changeup project as future average grade major league pitches, as Allen has already showed the ability and feel to throw both secondary pitches in any count with confidence and ability to throw both for strikes. Allen does not project to have any plus put-away pitch, which could limit his ceiling. However, the floor is pretty high for Allen to develop as a potential mid-to-back-end starter down the line. - Carlos Asuaje does not have much upside, but he is still a solid prospect who projects as a utility player if he can show the necessary defensive versatility. Asuaje is undersized, listed at 5-foot-9, 160 pounds with limited projection. He is a good athlete with a short, compact swing that is very direct to the ball. He has a strong knowledge of the strike zone and solid pitch recognition skills, rarely getting fooled or chasing bad pitches. He has shown solid on-base skills and strong contact ability, though he did struggle at times this year in Portland against more advanced pitching. Though he hit 15 home runs last year and eight this year, he has below-average power potential that will play more as gap power at the big league level. Asuaje primarily played second base in 2015, but he saw a few games at third base and in the outfield, and he split his time nearly evenly between second, third, and left field last season. Defensive versatility will be key for him, as he does not have the offensive tools to profile as an everyday player nor the defensive tools to play shortstop. At second, Asuaje showed soft hand and fluid actions. He has good instincts and a fringe-average-to-average arm that comfortably plays at second base, but also could play in left field and in a pinch on the left side of the infield. He also has solid instincts on the basepaths, but is only a fringe-average runner, so he will not add much value as a pinch runner in a bench role. Overall, while Asuaje does not have the upside of the other three prospects in the deal, he still is a solid fourth piece who should not be overlooked, as he is close to the big leagues and could stick for a decent amount of time in a bench role.